Building on their unique local heritage, The British School, Al Khubairat provides a world-class British education, inspiring their students to exceed expectations. 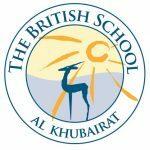 Find out more about how The British School Al Khubairat are doing on their CFC Dashboard. Our Chief Eco Ambassador Areen had a mission to get rid of all the plastic cups in BSAK. Her mission has been accomplished!